MGM Las Vegas, The City of Entertainment. Until recently, it was the largest property on the strip and one of our favorites. 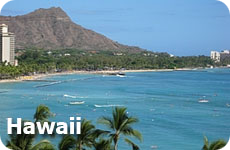 Since it is an huge property there is enough to do to fill up your entire trip if you like. From gambling, to sightseeing, to spending time by the pool, relaxing in the spa, to eating in a variety of restaurants, there is something for everyone. 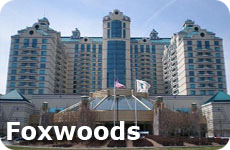 The MGM Resort and Casino is one property that we would recommend if you are bringing the kids as there are a lot of options for them, both in entertainment and dining options. 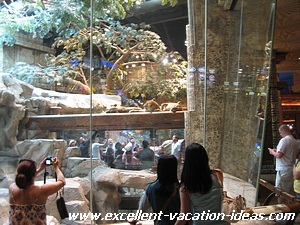 But if you are looking for a romantic vacation then the MGM Grand is certainly a Las Vegas property where you will find romance. Especially if you splurge on a suite or Sky Loft and dine in their fantastic restaurants. Lions, Dancing, Gaming, World Class Headliners, Cirque De Soleil you can find it all here! 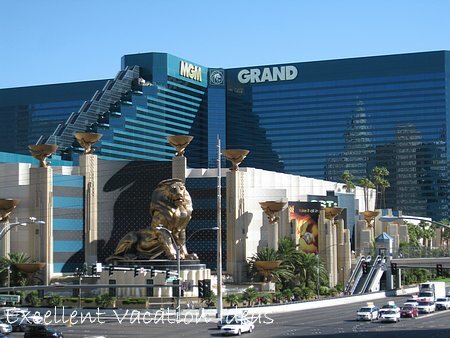 To honor their mascot and to help safeguard their preservation, the MGM Grand has created a beautiful and one-of-a-kind Lion Habitat. 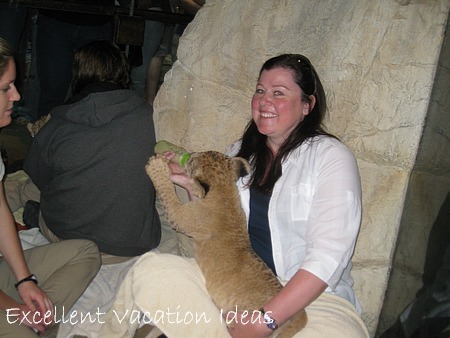 I just love visiting the lions at the Lion Habitat when we are at the MGM Grand. They open at 11 am and usually close at 10 pm. However, recently they have cut their hours back to 11 am to 7 pm. The best time to visit is to get there early - before 11 am and watch them come out. That is when I have found them to be most playful and interactive with their handlers. Every hour there is an audio commentary that explains how the lions live on an 8.5 acre ranch about 12 miles from town. They are descendents of the original MGM Lion - Leo - the lion that roared at the beginning of the MGM movies! You could tell the lions are well cared for, and enjoy their time in the habitat. The Lion Habitat is free and a great attraction for the kids. You can walk under their favorite sleeping spot to get a closer look. 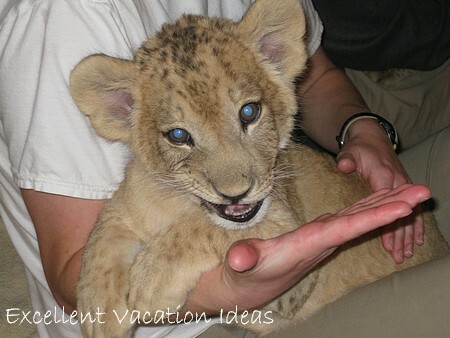 If you go before 11 am, sometimes you can see the baby lions in the large enclosure. In October of 2009 we were walking by the Lion Habitat and we saw the Lion Cubs - They were out before 11 am- when the adult lions come out. So if you are at the MGM Grand before 11 am - take a look to see if the cubs are out! In April 2010, we were fortunate enough to be able to have a visit with the cubs at the time. We got 2 minutes each to pet and feed the cubs. We were allowed to take as many pictures as we like and were lucky because we the cub I fed was names Lucky! The cubs are only available for a short period of time in their cub hood (childhood) to visit with guests. These cubs only had another day or two as they were getting to old and big to visit with guests. They were certainly rambunctious! It was a memory of a lifetime though! Me with BlackJack! He was heavy and had HUGE paws! Please Note: As of Spring 2012, the Lion Habitat has been closed. I heard that the lease on the space was done and that they may not be coming back at all. The MGM in Las Vegas is undergoing a massive renovation of the strip area of the Hotel to add more shops and restaurants to compete with other hotels on the strip. This made us very sad, although we are looking forward to seeing what is new when we return!